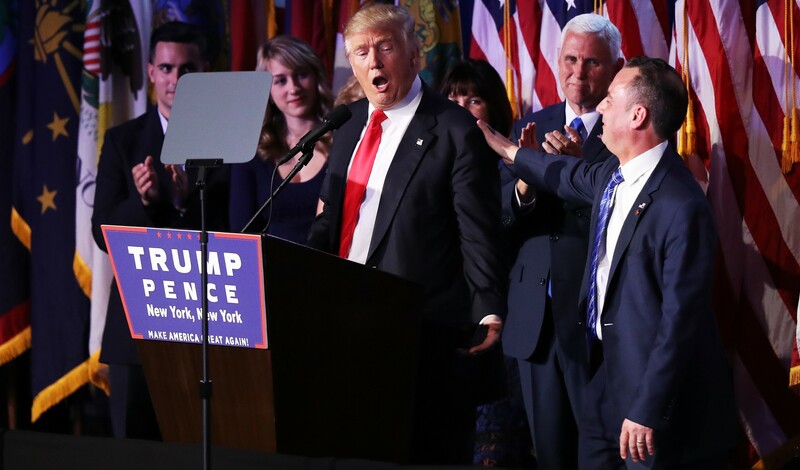 Viewpoints on how Donald Trump’s historic victory will impact Australia have been plentiful, with most considering Trump’s victory inherently calamitous and then speculating as to whether the ANZUS alliance will ‘survive’ a Trump presidency. This piece assumes that it's business as usual for the Australian government and offers practical observations for officials dealing with a Trump administration. As noted in my last piece, I do not subscribe to the view that President Trump will seek a grand bargain with China. Assertions to the contrary are generally aspersions about Trump’s supposed ‘affinity for strongmen’, rather than serious analysis. In reality, whether it is in Trump’s writings, campaign statements, or worldview, Donald Trump clearly sees China as America’s principal strategic and economic rival. The most immediate challenge facing Australian officials is determining how likely Trump is to start a trade war with China – this is also a litmus test as to whether they can anticipate Trump’s moves on the international stage. The key thing to remember is that in everything that Trump does, he is not a typical politician. Rather, he’s a businessman and a negotiator, one with a healthy respect for poker. Indeed, the quality of election analysis this year from professional poker players has been vastly superior to that of paid political pundits. It is important to remember that just because Trump is unpredictable doesn’t mean that he’s irrational. Trump: China must fully float its currency so that our companies compete on a level playing field or else I’m going to put a massive tariff on Chinese goods coming into the US. Xi: That’s crazy, if you do that we’ll retaliate with tariffs of our own and the American economy will collapse. Trump: You’re right. If we have a trade war both of our economies will tank, and in four years we’ll both be out of office. The difference is that I’ll be an ex-president billionaire and you’re likely to be executed or jailed in a revolution that overthrows the Communist Party. Now is this a high stakes game that could go horribly wrong? Yes, absolutely. However, there is a range of possible outcomes, one of which is renewed respect for American strength and improved responsiveness from Beijing. Similarly, the strategic relationship will be characterised by greater confrontation. Trump is committed to building up America’s navy to 350 ships. Unlike his immediate predecessors, Trump may establish a credible deterrent relationship with China ('credible' being defined as having the necessary military capacity to meet assurances, but also effectively communicating core interests and calibrating this with strategic risk). Practically speaking this means that, over the next four years, a reduction in America’s military presence in Northeast Asia is likely, but it also means that a corresponding increase in US military forces stationed in Australia will be requested – as China’s military expansion continues, US forces stationed in Japan and South Korea will become a liability rather than an asset. Accordingly, Australian officials should be planning for an US request for more US forces to be stationed in Australia in the coming years. ASPI’s Peter Jennings also expects that Trump will make an early request to Canberra for Australia to participate in freedom of navigation exercises in the South China Sea – while possible I hope this doesn't occur, for it would mean that US strategy in the region remains as feckless and ineffectual as ever. If such a request is made then Australian officials should ask very direct questions about what the US expects to achieve through these exercises, and suggest more serious alternative approaches for the new administration to consider. One imagines that cables are flying fast between Trans-Pacific Partnernship (TPP) signatories with the hope of presenting Trump with a unified front. They should spare themselves the bandwidth. Aside from the fact that the probability of success is negligible, it may not even be desirable. After all, Australia already has free trade agreements with many of these countries, so any additional economic benefit derived from the TPP is likely marginal. As it is, the Coalition can claim to have successfully pursued the agreement with a perfectly acceptable excuse for its ultimate failure (the Americans). If the TPP is enacted, however, then the moment private companies start appealing Australian legislation in international tribunals the Coalition is going to get absolutely hammered in the polls. Rather than worry about the TPP, Australian officials should start sandbagging existing agreements such as the Australia-US FTA. Canberra should help Trump prosecute his jobs agenda in ways that serve our national interests, perhaps through reinvigorating the G20. Labor’s Shadow Foreign Minister Penny Wong has called for a more ‘independent foreign policy within an alliance framework’ – as Cam Hawker thoughtfully explores, this reflects what eminent Labor figures such as Paul Keating and Bob Carr have been arguing for some time. What revision to the global order is tolerable with respect to a re-emerging China, and what must be actively resisted? What kind of security assurances must the US provide to Australia for Canberra to risk conflict with a major power? Nothing I’ve seen gives me confidence that these fundamental concerns have been properly considered by Canberra, or even by Washington. The drawback to Senator Wong’s intervention relates to its pretext. While these questions are fundamental to making the Australia-US alliance work for both parties, they’ve been raised due to America’s choice of president. The risk is that this maturation becomes personalised towards Trump, rather than the prism through which our core national interests are assessed. My own view is that the alliance will be of greater service to Australia under a Trump administration than would have been the case under Clinton. I appreciate that this is presently a minority view, but all sides should agree that the criteria for evaluation should relate to our strategic environment, not personalities. My concern is that the Australia-US alliance debate could ultimately be prove a referendum on Trump as an individual. That would be disastrous. The decision to withdraw from the Paris agreement may restrict the US from using climate security rationales to inform grand strategy and foreign policy.